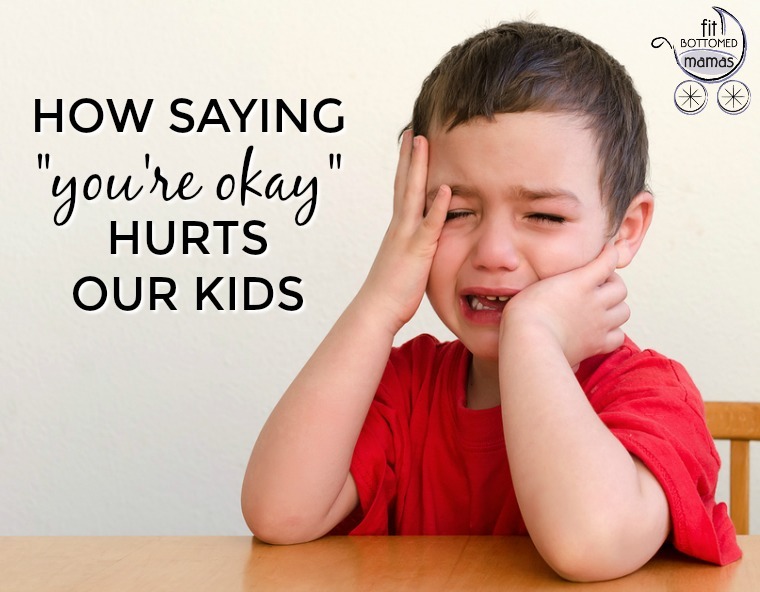 Have you ever considered how conventional parenting advice, like saying “you’re okay” or putting your kids in time-out can actually hurt your relationship with your kids? We know babies cry. But what if, while we are trying to keep our babies from crying, we’re actually harming our relationship with them? What’s wrong with this simple statement? They don’t know what it means. They don’t think they’re okay. We’re telling them something they don’t understand, or believe. Are they okay? Yes, of course they are. But when we tell them that, we’re telling them how to feel in that situation — when it’s not up to us. They need to understand what’s happening with their emotions, but they can’t understand if we don’t explain it properly. Let’s put this concept into perspective. How would you feel if you just hurt yourself and can’t control what you’re feeling right now? You’re probably scared. And then someone you depend on tells you you’re okay, when you know for a fact that you’re not okay? You might even be labeled “bad” because you’re expressing yourself. Do you feel safe with that person? Do you believe them? Do you know how to express yourself around them the next time you feel that way? Your kid will likely still be upset. But as they get older and feel understood, they’ll calm down quicker. There is an energy that comes from you that they will recognize, and know that they are okay because they’ll understand that you know what they’re feeling. They’ll feel safe to express themselves with you. When you make a habit of showing your child empathy, you’ll build trust and connection in your relationship. They’ll start to recognize that it’s safe for them to feel the way they do, and that it’s safe for them to have a range of emotions. You’re also building the foundation of trust for when they start to have tantrums or break rules. When they trust you, they’ll be much more likely to regulate their emotions, so tantrums and rule breaking won’t happen as frequently and they won’t last as long.